If you’re a casino fan and a slots lover in particular, then consider this review a must-read. As its name implies, All Slots casino is an online casino that aims to cater to slots players. With software developed by Microgaming, All Slots offers players an extensive selection of top-quality slots titles of all shapes and sizes. After becoming more acquainted with the website, we learned that there is actually a lot more on offer than just slots. In total, there are more than 500 casino games available to players. There are two live dealer casinos and a host of casino classics such as a variety of roulette and blackjack games, video poker, craps, sic bo, scratch games and more. All Slots easily deserves the highest grade for their game selection. 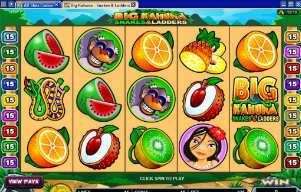 Enjoy a huge variety of superb titles with big jackpots on a lot of the games. All Slots offers most of the payment methods preferred by Canadian players. Just scroll through the options and choose which method best suits your needs. The All Slots welcome bonus is impressive at C$1,600 and there are other ways to enjoy additional bonuses once you’re already a member of the casino. All Slots have a promotion for every single new game introduced to their games menu. There are different types of offers given out over the year from cash-backs to free play credits. The customer service at All Slots is more than adequate with a full support staff on call 24/7. All Slots mobile casino is a small but powerful package of casino action. We love that you can access progressive jackpot slots like Mega Moolah and Thunderstruck right from your mobile device. All Slots casino definitely specializes in slots games, but there is a ton of other amazing casino entertainment on offer as well. Starting with the slots, there over 200 games available and the selection grows constantly as more games are added. The gaming software of the entire All Slots catalog is developed by Microgaming and this has a number of important benefits. Firstly, all the games look great. You can tell that a lot attention has been paid to the player’s experience and overall enjoyment of the game. Secondly, Microgaming has a huge prize pool. This means that the progressive jackpots grow to crazy amounts in no time. 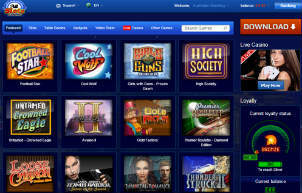 Apart from this amazing slots selection, an outstanding number of other classic online casino games is also available. This is great for when you feel like a break from playing slots or if you sometimes prefer to play slots games with autospin. Many variations of blackjack, roulette, and video poker are available. There are also dice games like craps and sic bo as well as scratch cards and keno games. In short, you won’t be bored at All Slots. We found the payment process at All Slots to be satisfactory too. Canadian players have access to a wide range of payment services. For starters the major credit and debit cards are available such as Visa and Mastercard. You can also use a number of e-wallets and popular transfer services like Click2Pay, Neteller, Entropay, Moneybookers, Solo, Citadel, and lots of others. You should note that to receive all parts of the bonus, the 2nd, 3rd, and 4th deposits need to be made with seven days of your initial deposit. Something quite unique to All Slots is their “ClearPlay Bonus System”. This system divides your account into two – a cash account and a bonus account. This allows players to withdraw from the cash account whenever they want, while funds from the bonus account become available as the wagering requirements are met. The ClearPlay system gives you more control over your account than what you would have at other sites, allowing you to make the most of your cashouts. All Slots prides itself on its games and has fun and rewarding offers every time a game is added to the menu. If you’re a loyal player, you can expect to be pampered here. All Slots lets players earn up to C$5,000 in potential bonuses through a variety of promotions every year. The customer service team at All Slots is available for any queries from technical support to accounting. They can be contacted 24/7 via telephone, email and live chat. The All Slots casino mobile version is a great product that we really enjoyed playing around with. The app includes over 30 games developed by Microgaming, and the whole experience with this app is very entertaining. As with the main website, the mobile version offers a lot more than just slots games. Enjoy classics like blackjack and roulette as well. 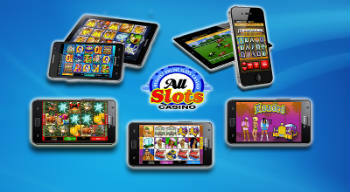 For iOS users, a flash version is accessible via the All Slots online casino while Android users can download the All Slots app to their devices. All Slots is a much-loved online casino and we can see why. 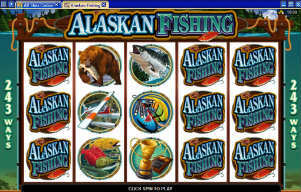 For slots players, this product is perfect, offering a huge selection of premium quality games. But at All Slots there really is much more going on. Discover a host of other fantastic games, and enjoy lots of special offers from bonuses to free spins. We also found their unique ClearPlay Bonus System very helpful as it really helps to monitor and manage your casino account. We’ve had very positive experiences at the All Slots online casino and that’s exactly why it gets our recommendation.